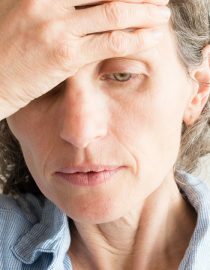 What’s the Deal With Menopause Headaches? If you are in perimenopause and have a whole host of symptoms, you might be of the opinion that the whole menopause process is a headache! And really, it is. Hormone-related headaches can prove to be seriously debilitating, affecting every aspect of life from work to your social life. 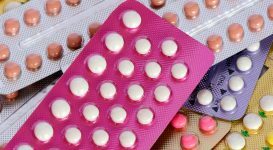 Hormone headaches or even migraine can affect women from their very first period onwards, myself included. I could predict the start of my period knowing that it would be precisely 24 hours after the headache started. Menopause can mean a reduction in severity or even an end to headaches and migraine linked to fluctuating hormones. 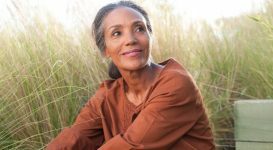 But for many women, menopause can see the issue worsening, especially if they previously suffered with menstruation-related headaches, or they may suffer with headache and/or migraines for the first time. There are actually three types of headache menopause can worsen or trigger. Migraines are a severe headache, often accompanied by visual disturbances and nausea. The pain usually starts on one side of the head or behind the eyes and throbs. Stress or tension headaches are generally not as intense as migraine but can still be quite painful. You may feel pain or tightness across the forehead and/or the back of the head and neck. Sinus headaches typically cause pain in the face and/or forehead, as this is where the sinus cavities are located. Sinus headaches are usually caused by infection or inflammation. So, how do hormones cause a headache? It’s believed that estrogen can cause blood vessels to dilate (get bigger) while progesterone can cause them to tighten. As your hormone levels fluctuate, this can cause blood vessels to dilate and contract resulting in changes to pressure in your head and a headache or migraine. Of course your headache might be caused or exacerbated by stress. 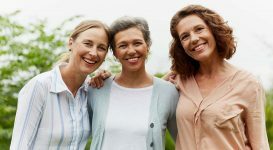 Menopause can be a stressful time for some women, especially if they are finding it hard to cope with other symptoms, like menopausal hot flashes, sleep issues and physical and emotional changes. To find the best way to treat a headache during menopause, it’s useful to try to establish what is likely to be causing them. Keep a headache diary noting when they start, what you have eaten in the hours before it started, where you were when it started and how you felt — stressed? Relaxed? Anxious? Note where the headache started (forehead, back or head, top of head, behind the eyes) then over a number of weeks see if you can see any pattern emerging. Most experts advise keeping a diary for at least three months to see a real pattern. If you can see quite quickly that there is no link to food, mood or environment (and you have ruled out a sinus infection) then you can assume hormones are likely to be the culprits. Luckily there are some things you can do to lessen the likelihood of hormone headaches. Speak to your doctor about HRT (hormone replacement therapy). 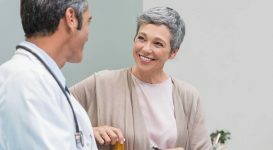 They will almost certainly be able to allay any fears you have about starting HRT and you may be surprised at the number of different types and delivery systems available. If you are already on HRT, tell your doctor if you have started to get headaches or they have worsened in intensity or frequency. It might be that you would be better off with a different delivery system. 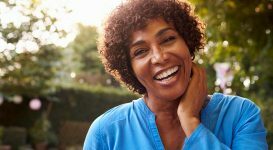 Patches or gels are generally thought to be best for menopause headaches as they keep hormone levels more stable than tablets. If you find you have developed migraines, your doctor may be able to prescribe specific drugs to lessen or stop the pain. These are different than straightforward painkillers, which can actually cause a headache themselves if taken frequently. 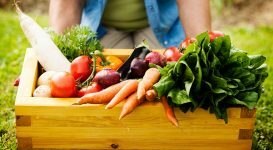 Try changing the way you eat — frequent small meals or smaller meals plus regular healthy snacks like a handful of dried fruit or nuts can often be better than three large meals a day because of the way eating can affect blood pressure. Common food triggers for headache or migraine include alcohol (especially red wine), chocolate, caffeinated products, cheese (especially the aged type) and dairy products (which can also create sinus problems for some people). Exercise can help too! Just be sure to avoid sudden high impact stuff, always warm up and cool down, and aim for 30 minutes of exercise three or four times a week. Exercise produces “feel good” chemicals so it will help with any anxiety or stress. Acupuncture and acupressure therapies can be helpful in combatting headaches, and many people swear by nutritional supplements. 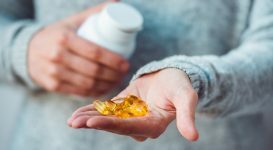 Vitamin B-2 and magnesium are known for headache prevention, and vitamin D and co-enzyme Q10 may help too. If stress or anxiety is causing headaches or making them worse, consider learning some biofeedback skills, cognitive behavioral therapy or relaxation techniques. Check online, on local noticeboards or speak to your doctor or therapist about the best place to find practitioners. Experts agree that exercise isn’t a cure-all for your menopausal symptoms, but it does target the roots of some discomforts.